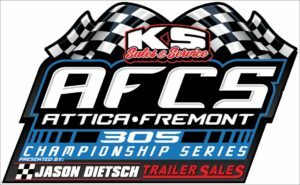 ATTICA, Ohio – Apparently getting married in the key to getting your first win at Attica Raceway Park. Vienna, West Virginia’s Cale Conley and Shelby, Ohio’s Kyle Peters both got married since last fall and both scored their first career wins at “Ohio’s Finest Racing” speed plant on Saturday, April 6. Conley scored the victory in the 410 sprints while Peters earned his first ever sprint car win in the 305 division. Wooster, Ohio’s Doug Drown, though married for awhile, got a late race pass for his 25th career win at Attica in the late model feature on Murphy Tractor & Equipment/UBS Financial Services/Construction Equipment & Supply/Advanced Drainage Systems Night. All three features came down to the final hand full of laps in front of a huge crowd for the 2019 lid-lifter at Attica. Conley, aboard the Dave Jessup owned Merchant Services Ltd., Brookville Auto Parts backed machine, took the lead of the Callie’s Performance Products 410 Sprint A-main on lap two, lost it to two time Attica champion Chris Andrews on lap eight and then drove back into the lead on lap 17. The 26-year-old driver nearly gave up the victory with two laps to go when he caught a rut and nearly spun. He was able to hang on for his first Attica victory. “Right at the start I thought it felt pretty good. That was a wild first few laps and then he (Andrews) passed it and I thought well we aren’t doing something right. But I stayed right there with him so I thought I’ll just stay with this and he’ll hit that rut and make a mistake and he did. This is like a bucket list win. Attica is unreal. I’ve raced a lot of different types of cars and different people and have been very fortunate but this is one of the toughest by far. And to do it with Dave and Brian (Kemenah) and everybody that’s helped and I have my wife and little baby here so this is the most special win I’ve had,” Conley said. “I have no idea how I saved that with two to go. You just shut your eyes and just step on it and that’s what we do for 30 laps. This place is so tough…we had a choice tonight to go to Atomic or here…we missed races here last year and used provisionals. It means so much to get a win here and it’s going to be a huge confidence booster going into the All Star races coming up,” Conley added. Drown took the lead from race-long leader Matt Irey with a move exiting turn 4 on lap 22 of the 25 lap A-main for the Summit Racing Equipment UMP Late Models, and held off two big challenges by Irey to score his 25th career Attica win. Last year Peters scored four runner-up finishes in 305 sprint action, even losing one on the last lap. Saturday it looked like he might have to settle for another second place run in the Fremont Fence 305 Sprint feature as lapped traffic and nearly getting collected in a crash when a lapped car caught a big rut and got into him. Then throw in challenges by veteran Jamie Miller, who scored 11 wins in 2018 and Peters overcame huge obstacles for his first career victory. “I got luck. I got held up by a lapped car and Jamie got by me and I was able to cross him over. I never saw him again but thank God. This is awesome. This is the first race as a married man…if I had known this I would have married her a long time ago,” Peters said beside his Buckeye Barn Salvage/The Niss Foundation/Hess Industries/Ohio Valley Manufacturing/Bodina/Silverline Custom Services/C.L. Eshelman Excavating & Trucking/Electric Control/Lloyd Rebar/Cooke Transportation/Oiler Trucking/JC Tire/Shelby Home Improvement/Chris Stephens Trucking/Mosier Industries/Tom & Judy/Kilgore & Herring CPAs backed #97. Shawn Dancer and Conley brought the field to green for the 30 laps 410 sprint feature with Dancer gaining the advantage. Dancer pulled a big wheelie on the second circuit, allowing Conley to take the top spot with Andrews grabbing second a lap later. Andrews quickly pressured Conley, driving to his outside lap after lap. Action ground to a halt on lap six when Caleb Griffith and Max Stambaugh tangled with Griffith taking a nasty looking flip though he was uninjured. On the restart Andrews again drove to Conley’s outside and took the lead on lap eight. A circuit later and Mitch Harble took a wild ride to bring the action to a halt and he too was not injured. When the green flew Andrews and Conley ran nose to tail and pulled away as Travis Philo took third from Dancer. At the half way point Conley had begun to close on Andrews utilizing the extreme low side of the track with Philo, Cap Henry, Dancer and 12th starting Buddy Kofoid in tow. Conley made the winning move exiting turn four on lap 17, driving under Andrews back into the lead. Conley hit lapped traffic with 10 laps to go and Andrews closed with Philo, Henry, Kofoid and Dancer giving chase. Just when it appeared Conley had the field covered, he caught a rut while battling a lapped car and got completely sideways but was able to gather it back up and hold onto the lead. Conley drove to the win over Andrews, Kofoid, Philo and Henry. Devin Shiels and Michael Luberda brought the field to green for the 25-lap late model feature but before a lap could be scored Travis Stemler and Ryan Markham tangled necessitating another start. When the green reappeared Shiels jumped into the lead over Luberda, Irey, Mike Bores and Chad Finley. Irey drove into second on lap two just before the caution flew for a Bob Mayer/Steve Sabo dust up. On the restart Irey drove under Shiels to take the lead with Bores taking third a lap later while Finley had his hands full Drown for fourth. Irey began to pull away while Shiels fell into the hands of Bores and Drown as that trio put on a show battling for second. With 13 laps scored Irey got into Nate Potts as he attempted to put him a lap down with Potts spinning to a stop. On the ensuing restart Irey maintained his lead but Drown drove into second and quickly closed on the leader. Irey, glued to the bottom, and Drown in the middle of the track ran side by side over the next four laps before the caution flew with eight laps to go for a Ben Mott spin. On the restart Irey seemed to take control of the race, pulling away slightly from Drown as Shiels, Ryan Missler, Bores and Finley gave chase. But, with four laps to go, Drown found something in that middle line and drove to the outside of Irey to take the lead coming to lap 22. Irey didn’t give up and kept his nose under Drown but couldn’t get the pass. Drown drove to the close win over Irey, Shiels, Missler and Bores. Mike Burkin and Brandon Moore paced the field for the 25 lap 305 sprint A-main with Burkin gaining the upper hand. Peters drove into second on lap two just before the caution flew for a Tad Peck spin. Peters used the restart to drive into the lead over Burkin while Jamie Miller blasted into third. Peters quickly found the back of the pack by lap nine and Miller closed. Lapped traffic really got interesting two circuits later and with 11 laps to go disaster nearly took Peters out when Justin Adams bounced in a rut in turn four and nearly landed on top of the leader. With eight laps to go Miller was racing to Peters’ outside with Paul Weaver now in third and closing. Behind that trio Moore and Shawn Valenti were duking it out for fourth. Peters kept his composure and was able to pull away for the win over Miller, Weaver, Moore and Valenti. Attica Raceway Park will be back in action Friday, April 12 for True Alpha Wealth Management Night. 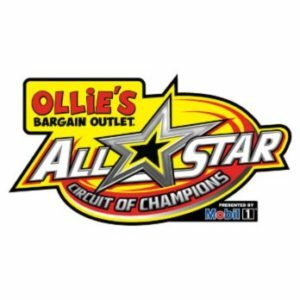 It will be the first night for the All Pro Aluminum Cylinder Heads/Kistler Racing Products Attica Fremont Championship Series (AFCS) Presented by the Baumann Auto Group for the 410 sprints and the KS Sales & Service AFCS Presented by Jason Dietsch Trailer Sales for the 305 sprints and the first night of the Attica/Wayne County Speedway Late Model Series Challenge. Advanced Drainage Systems (ADS)of Hilliard, Ohio, is a leading manufacturer of high performance thermoplastic corrugated pipe and ancillary products, providing a comprehensive list of water management products and superior drainage solutions for use in the construction and infrastructure marketplace. Our innovative pipes, fittings, basins and other products are used across a broad range of end markets and applications, including non-residential, residential, agriculture and infrastructure applications. Founded in 1966, ADS operates a global network of approximately 60 manufacturing plants and over 30 distribution centers.